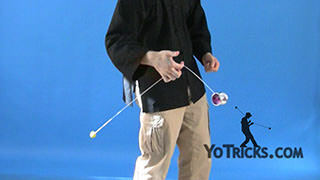 Counter-Boing is an exciting 5A variation of the 1A trick Boingy-Boing which involves careful timing of the yoyo and counterweight. 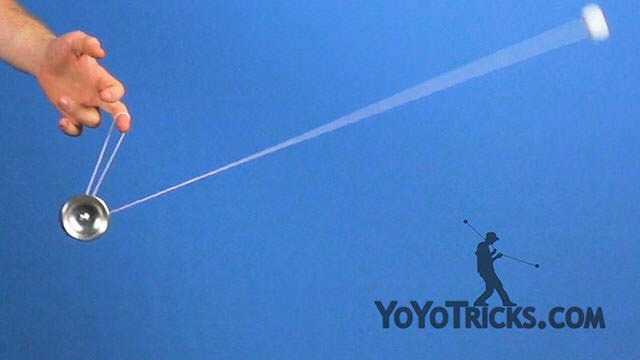 To start this trick, first you throw a breakaway. 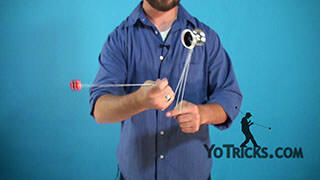 Let the counterweight slide into your opposite hand. 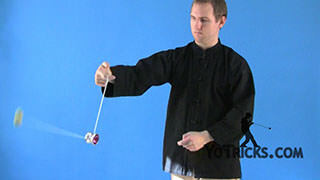 Then you want to swing the yoyo over your throwhand shoulder. You will see that the string is actually right on my shoulder. That is really where you want it. 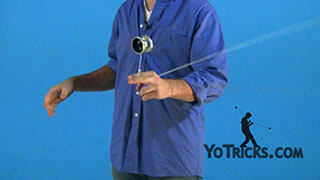 Then you want to let the yoyo swing towards your opposite hand side. 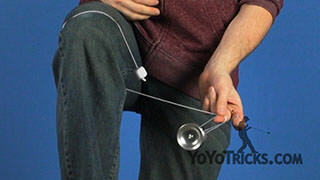 Then you want to take you pointer finger and middle finger on your throwhand and put them underneath the string that is leading to the yoyo. 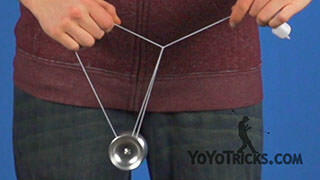 Then you can swing the yoyo into an undermount around those two fingers. And you are in the basic mount to start the trick. Let me show you what that looks like from a side angle. 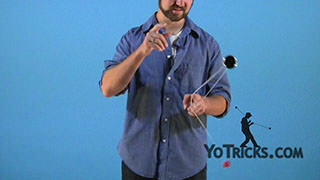 Counterweight goes into my opposite hand, over my throwhand shoulder. 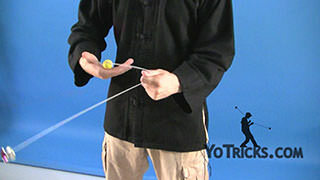 Throwhand pointer finger, middle finger, go under the string. Then you can swing into an undermount. 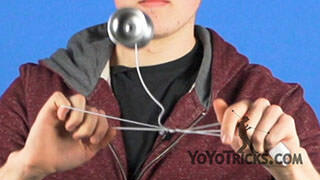 From here you want to take your throwhand and slide it up this string that is leading to the counterweight. 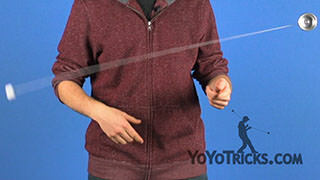 Then you want to pinch the string between your pointer finger, middle finger, and thumb. 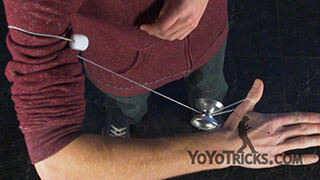 From here, you want to pull your throwhand down, which is going to swing the counterweight into the gap of the yoyo. It is going to come up and around, and you can catch it in your throwhand. 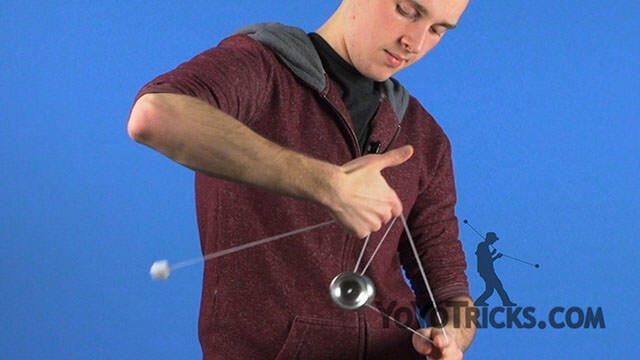 You might notice that this mount is actually just a one handed undermount, but with the counterweight going around the yoyo twice. 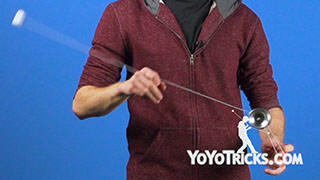 Getting into this mount can be pretty tricky, and if it is, then you want to take a look at your string proportions. When you are first setting up here, you want to experiment with holding the counterweight either father away from your throwhand shoulder, or closer. 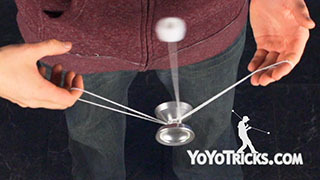 Also you want to experiment with how far up this string you pinch, which is going to change how the counterweight swings. 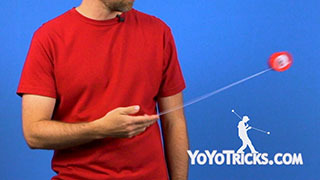 Once you have figured out your string proportions, which are going to change depending on how long your string is, how long your arms are, so it might take a little bit of practice. 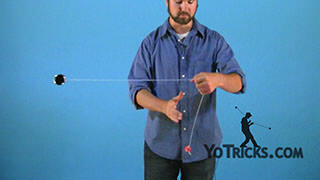 You want to get into this mount and then you want to take your opposite hand pointer finger and put it into this loop. Then you want to swing the yoyo over your opposite hand pointer finger toward your throwhand side, which is going to set you up for the boing. In this mount, you can actually just do regular Boingy-Boing. 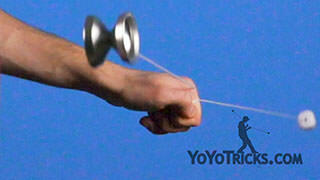 But we are going to do that but with our throwhand open, so that the counterweight can leave our hand. 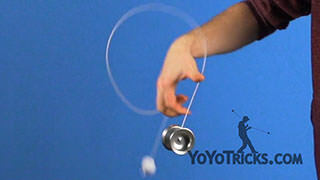 Now I am going to boing the yoyo forward, back, and then forward once more, which looks like this. 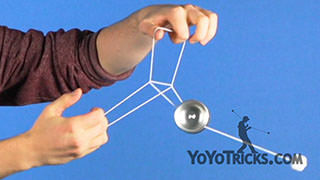 Then the yoyo and the counterweight are going to separate. 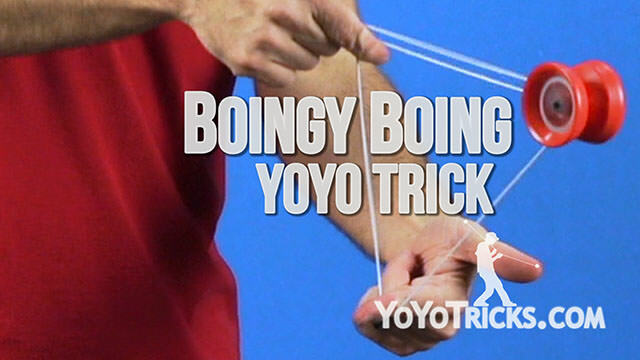 If you are having a hard time with that boing, we have got a couple of tips for you. If you find that the counterweight is stalling or is not making it all the way around, then you really just want to make sure that your boings are big and powerful, and that they are not small like this. Otherwise, the counterweight is not going to have enough momentum to go all the way around. 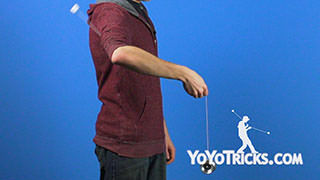 Also, if you find that the counterweight is going out of line with the yoyo, you just want to make sure that the yoyo is moving back and forth perfectly straight. Otherwise you might be making some mistakes. 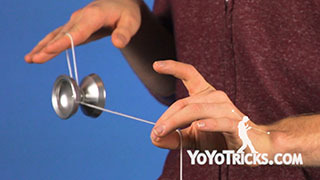 After the yoyo and the counterweight separate at the end, and as the counterweight is swinging toward your throwhand side, you just want to push the yoyo into the bottom of this string, doing a reverse beesting. 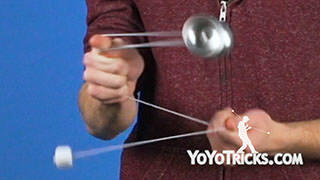 You can catch the counterweight, landing the yoyo into a trapeze. Then you can perform a bind. And that is Counter-Boing.